Today is the 44th anniversary of the Stonewall riots, the symbolic beginning of the modern gay liberation movement. It comes a few days after the Supreme Court's recent decisions regarding marriage equality, something I doubt anyone at the Stonewall in 1969 would have predicted seeing in their lifetimes. There's still tons of work to be done, particularly regarding the rights of queer folks who happen to be less than rich or other than white or transgendered ... but the progress is impressive. 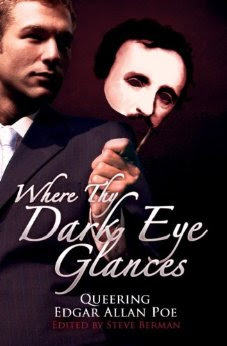 I have a story in Where Thy Dark Eye Glances: Queering Edgar Allan Poe edited by Steve Berman and published by Lethe Press, due out next month. Steve sent me an advanced copy of the book, for which I'm grateful, because it gave me some time to read a few of the other stories (and some poems). 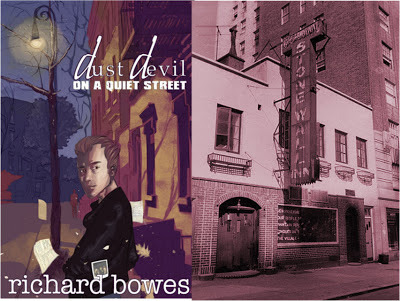 I'm all the more honored to be included, because there's some excellent work here, and it's all organized well, highlighting connections without diminishing the range of tones, styles, and ideas. Last year, I wrote about Mukoma wa Ngugi's Nairobi Heat, seeing it as an interesting, if flawed, first novel. Now Melville House has released Mukoma's second novel, a sequel to the first: Black Star Nairobi, a political thriller that begins as a detective story and ends up taking us from Kenya to Mexico to the U.S. and then back to Kenya at the time of the election crisis of 2007/08. The writing in Black Star Nairobi is more assured than in Nairobi Heat, and the plot and structure are more ambitious. The ambition is also the novel's curse, because the text is not up to the task of portraying and dramatizing the richness of its worlds and ideas — it's a book that needs to be twice its length or half its plot. Kafka and Cervantes haunt this novel, as they haunt so much of Coetzee's work. Cervantes is there on the pages — the boy David carries around a children's copy of Don Quixote and learns to read from it. Kafka is more of a ghost in the book, a presence haunting its words. 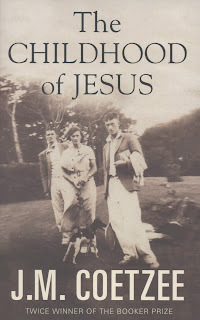 The Childhood of Jesus tempts us toward reading it as allegory, a tendency common to Kafka's work, and Coetzee has written insightfully about Kafka many times, including a valuable essay on "Translating Kafka" in Stranger Shores that criticizes Edwin and Willa Muir's allegorical and religious reading of Kafka and the effect it had on their translations. Reading Coetzee allegorically is always a false path and yet one he seems to enjoy tempting readers toward. This time, the temptation is even in the title. This essay originally appeared in the Spring 2012 issue of Rain Taxi. 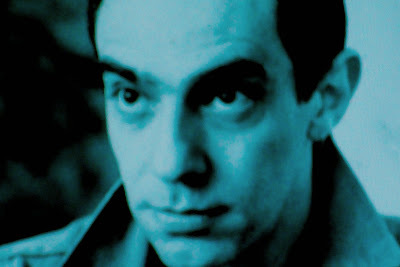 Elements were also used in my video essay "Profane Love: Derek Jarman & Caravaggio", which I began work on shortly after writing this piece. I was pleased to read Kyle Minor's response to Christian Lorentzen's London Review of Bookshatchet job on Alice Munro, not because I think Munro is above criticism, but because Lorentzen's attempt at a take-down was pretty shallow. I read Lorentzen's piece and was merely moved to get snarky on Twitter, but Minor really digs into Lorentzen's claims. SF Signal's Mind Melds are often marvelous, but the most recent is my favorite in a long time: a bunch of people answering the question, "LGBT themes and characters have, thankfully, enjoyed an emergence in speculative fiction the past few years, and we’d love to know who some of your favorite LGBT authors, stories, and novels are, and why?" Great answers from all, offering not only recommendations of excellent books to read, but thoughtful ideas about the place of queer concepts within science fictional/fantasy contexts. Cheryl Morgan in particular covers a remarkable amount of ground in relatively few words. Though I decided at the last minute not to join the third annual Caine Prize Blogathon after having participated in the first two, I am still interested in the Prize, its effect(s), and its complex relationship to the idea of "African literature". Thus, I read with great interest an article about recent reactions to the Caine Prize that has been published in the latest issue of the venerable journal Research in African Literatures. The article, "The Caine Prize and Contemporary African Writing" by Lizzy Attree, includes a discussion of the first year of the Caine Prize blogathon, a discussion which at first was very exciting for me, because it's nice to have an endeavor you've participated in noticed.